Having covered the need PR professionals have to gain understanding of social media platforms online, I began thinking of the importance of understanding new technologies and devices in the world of public relations also. We’ve all heard of the ideas about having your mobile phone in wristwatch form, or having a satnav built into your trainers, but none of these ideas have yet developed into a wearable device that is as common as the iPhone in our daily lives. Nevertheless, experts are claiming that 2015 is the year this all changes. 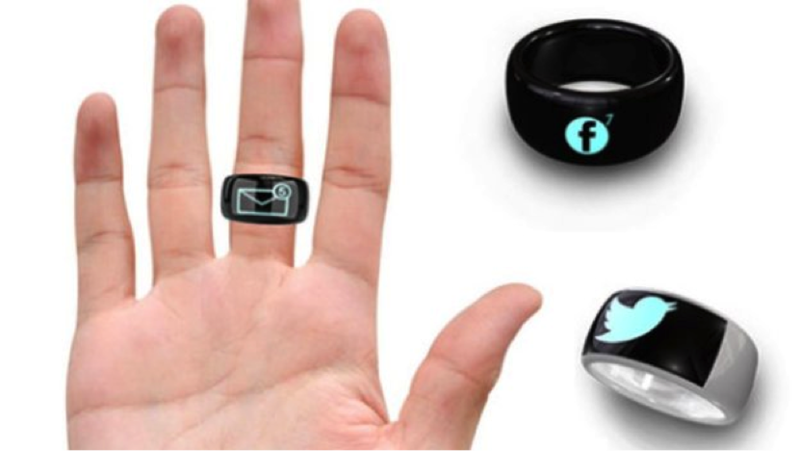 A device spoken about at this year’s CES (Consumer Electronics Show) that sparked a lot of interest is Mota, a “smart ring” that can display Twitter and Facebook updates on your finger. Now, some could argue that this is a pointless use of technology, while everyone holds their phone in their hands 99% of the time anyway, but one must question what this means for PR. If all kinds of notifications could be made as clear as this, it could be easier to show clients the success of an online video about their product, or apply this technology to individual apps for an organisation to map success and activity. With ideas and technology so unheard of at this stage, PR professionals need to begin understanding these technologies immediately, as the possibilities are apparently endless! An easy way to have a look at what technology has been able to achieve so far is to focus in on the athletic industry. With thousands of new products launched every week to monitor heart rate, play music to swimmers while they’re underwater and count calories throughout the day, the athletic industry is a key player in the world of emerging technologies. A report from the Institute of Mechanical Engineers even went as far as suggesting that “technological innovation is now an integral part of sport at the highest level” according to an article from The Guardian. Being able to pay for school dinners with the use of a thumbprint, entering your workplace by touching a finger recognition pad, opening your car door with no need for keys anymore, do these ideas really sound that futuristic today? The answer is no, not really. Apple also was quick to use this technology in the security of their mobile devices. By protecting your smartphone with a password of your own thumbprint (or interestingly any part of your body) is used by many as a way to have peace of mind when losing your device. In event public relations, a quick and efficient way of signing people in could be the use of finger print recognition, not to mention this still being impressive to the average consumer while this still remains a new idea (AKA not for long!) or even perhaps in nightclubs, instead of providing a bouncer with a card form of identification, perhaps a lot of time could be saved by performing a quick fingerprint scan to monitor the age of young people trying to enter an establishment. Not only could the potential earnings increase with time being used more proficiently, reputations could soar if social institutes begin operating with this high level technology. Now, these are just two examples but more technology is being introduced so rapidly that it’s imperative to pose the question: is understanding these new devices as important as grasping the social media used to promote them? I'm Polly - Bristol based journalism & public relations graduate currently working in beauty & interiors PR. Writing about lifestyle, travel and interiors. Hope you enjoy! Enter your email address to subscribe and receive notifications of my new posts by email!